The Doorsteps Sport package workshops and practical sessions equip candidates to work with disadvantaged youngsters in the community sports setting. This package is recognised in the sports industry as the essential first step towards leadership and employability. This workshop introduces and explains Doorstep Sport and how it's delivered. What is Doorstep Sport and how do you deliver it? This course is the ideal introduction to understanding how the Doorstep Sport approach is different from traditional methods of sports delivery. It outlines the current sporting landscape within disadvantaged communities and explores the challenges you may face on a session-by-session basis. The workshop also shares good practice from across the UK of the power of sport to change lives and communities and highlights the range of StreetGames’ favourite Doorstep Sport activities. Who is it for: Community sport project leaders, coaches and volunteers. Course prerequisites: An active interest in Doorstep Sport - sport in the right time, for the right price, to the right place and in the right style. StreetGames have developed the Multi-Skills Activator in order to provide volunteers, young people, youth & community workers and community sports coaches and leaders with a multi-skill approach to coaching young people in their local community. The workshop will provide a chance to experience games across a range of sporting categories and learners will combine their existing coaching and leadership skills and experience with the games, adaptations and top tips within the workshop to engage young people in multi sports. Aims of the Workshop: To introduce 4 categories of fundamental sports skills; to explore principles of play within 4 fundamental sports skill categories; to deliver a range of adapted practices and games; to explore coaching points, adaptations and questions for understanding. 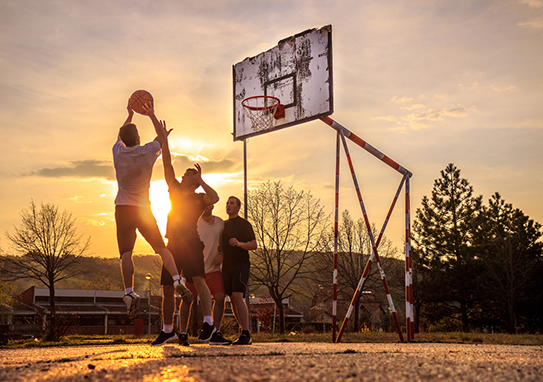 The workshop explores how Doorstep Sport can be used as an engagement tool to address social exclusion, anti-social behaviour and community tension and build stronger communities. Participants learn the characteristics of ‘hard to reach’ young people and how to effectively engage with them. They are shown how to recognise the causes and triggers of anti-social behaviour and they explore the development of tools and skills that enable young people to take ownership of their issues and effectively manage challenging behaviour. Mental health is just as important to our overall wellbeing as physical health, in some cases more so, yet we tend to pay far less attention to it. The mental health of young people is particularly important. Half of all long-term mental illness in adulthood starts by 15 and three quarters by 18. Youth workers and coaches can do a great deal to prevent this, without being experts. We train to give physical first aid without hesitation – so why not mental first aid too? Local authorities up and down the country see mental health as their top priority. They know that ignoring the problem is unaffordable because of the impact on the economy: young people with mental health problems find it harder to get or stay in work, they are more likely to get into legal trouble and will need more attention from their GP or hospital. Interventions, such as Mental Health First Aid, are both evidence-based and cost-effective. Training your volunteers and coaches is money well spent and will allow your organisation to make a vital contribution to the health of the local population. What Is It About? Learners will explore the most common mental health conditions experienced by young people and discover what youth and sport workers can do to prevent and/or intervene when needed. The ‘Lite’ version provides a taster of the content for the ‘Full’ course. Learners on the full course cover topics such as child and adolescent development, bullying and cyber bullying, substance misuse and protective factors. Learners will be able to: challenge the discrimination surrounding mental health; define mental health & common issues; relate to other people's experiences; look after their own mental health; protect a young person who may be at risk; spot the signs of mental health issues in young people ; give help, support and guidance to any young person who needs it. The course price is £60 per module.